You may think that buying a car is a piece of cake, but it actually does take some time and research to do it right. After all, you don’t want to spend more money than you have to on a new ride, right? One of the most difficult aspects of car shopping is the fact that you have to find the right auto loans to suit your budget. It can be hard to know whether you’re getting a good rate or not, especially when you haven’t purchased a car in Metairie, LA, before. Get the scoop on how to handle the financing process, and you won’t have to worry as much about getting a good price. It’s a good idea to always know what your credit score is, but unless you check it regularly, you’ll need to check it before you start applying for auto loans. Your credit score plays a huge role in what kinds of rates you’ll be able to get, so you want to have a picture of what to expect before you start to apply. For example, if your credit score is very low, you may want to wait and improve it before you try to buy a new car. On the other hand, if your credit is looking great, you’ll know that you may be able to consider cars that are slightly more expensive. The next step is to figure out where you want to apply for auto loans. As long as you apply within the same two-week period, you can apply to as many places as you want without affecting your credit score significantly. However, the best way to get the rate you want is by securing financing from the dealership you buy from. You can usually find better rates there, and it makes the process a lot more convenient. Why would you turn that down? After you figure out where you want to get your loan, you have to make a down payment. Speak with the financial advisor you are working with in Metairie, LA, to determine how much you need for a down payment and how much you’ll be spending every month on your loan. 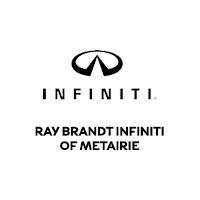 Now, all you need to do is visit us at Ray Brandt INFINITI near Metairie, LA, and pick out your new ride.